3 How to Make a Basic Vinaigrette. A sweet and tangy balsamic vinaigrette doesn't belong only on a green salad. Use the dressing as a marinade for meat or portobello mushrooms, drizzle it over roasted root vegetables or dip chunks of crusty bread into it. Combine your favorite balsamic vinegar using oil, emulsifiers and other seasonings to create a salty, spicy flavor and creamy texture. 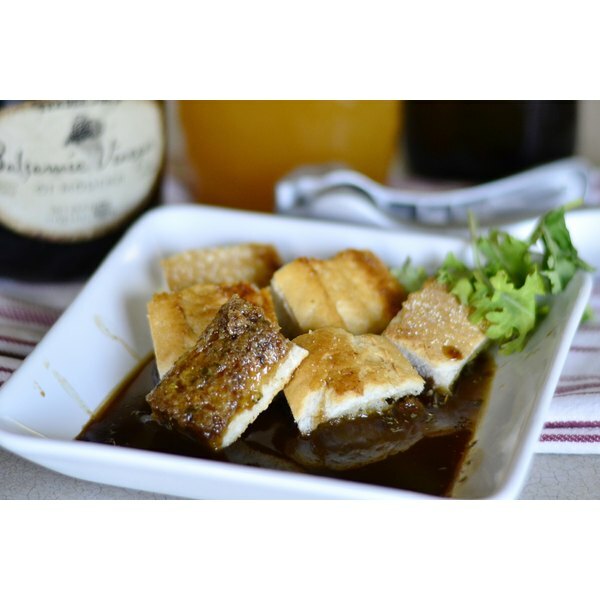 The combination of balsamic vinegar and olive oil is a classic one for vinaigrettes. Olive oil is mild in flavor and readily available, but it's not your only oil option. Substitute any neutral oil, such as canola or peanut, to allow the balsamic flavor to shine. Create a more complex flavor by using flavorful walnut or sesame oil, but combine them with neutral oils so they're not overpowering. Follow a ratio of three parts oil to one part vinegar. Adjust the amounts after you taste the finished dressing. You can whisk oil and vinegar for hours, but when you stop, they'll separate again. Adding an emulsifier causes the vinegar to break down into tiny particles that can then be suspended in the oil, preventing the two from breaking apart. Several emulsifiers -- such as honey and tomato paste -- complement balsamic vinegar, but mustard is a favorite of many cooks. Use about 1 teaspoon of mustard per tablespoon of vinegar. Do not blend mayonnaise, cream or egg yolks -- also emulsifiers -- with Balsamic vinegar. Minced garlic, shallots, and dried or fresh basil, thyme and oregano partner well with the ingredients in a balsamic dressing. Add salt and pepper to taste, along with honey or white or brown sugar for extra sweetness. You may use lemon juice and soy sauce, but add a bit more oil to counteract the extra acidity. Sample the dressing after each addition and make adjustments as necessary. If one flavor is overpoweringly strong, add more oil, then mix in small amounts of the other ingredients to taste. Shake the vinaigrette to mix in a sealed jar, whisk the ingredients in a bowl or combine them in a blender. 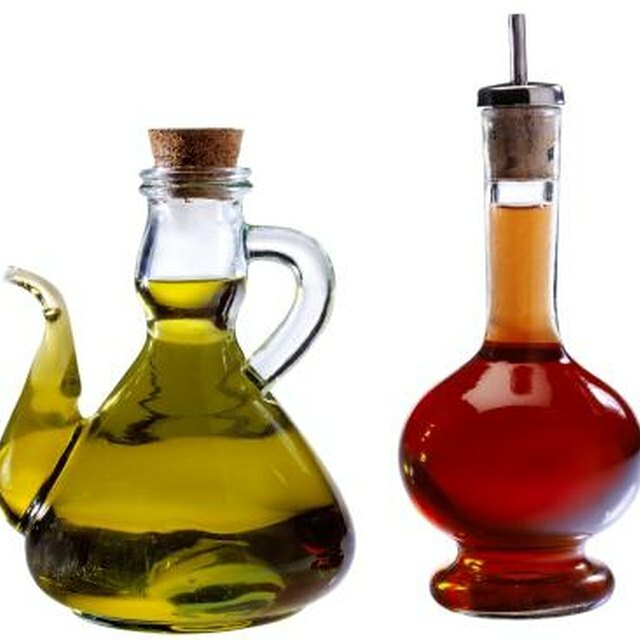 A dressing made with just oil and vinegar can be kept at room temperature, but if you add fresh ingredients, such as herbs, or those that typically require refrigeration, such as mustard, store the dressing in the refrigerator and use it within a week. Serious Eats: The Food Lab: What's the Point of a Vinaigrette?